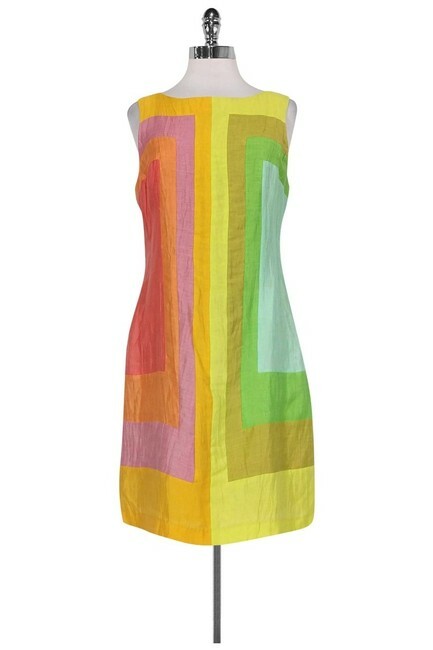 Achieve a retro 1960's look with this stand out dress from Tracy Reese. 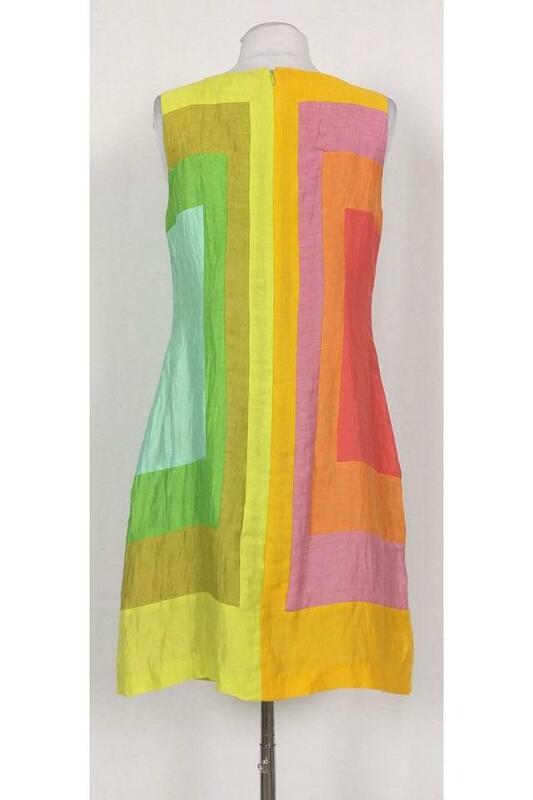 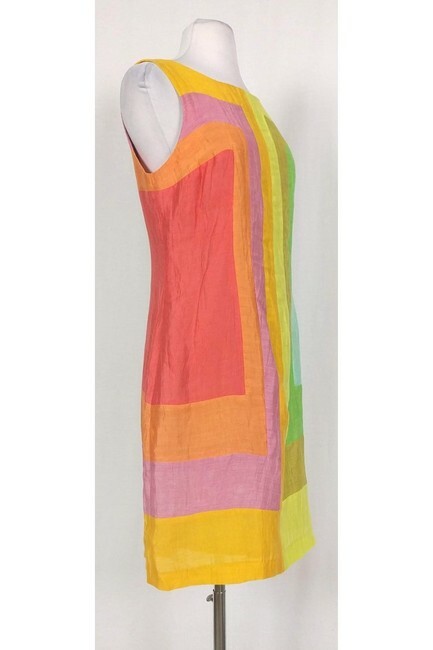 Its playful multi-color print complements the shift silhouette of the garment. Style it with platform pumps and a pair of sunnies.